One of the most rewarding events in my life is happening tomorrow (Tuesday, February 24th), and I wanted to personally thank my dear friends who have supported me for so many years and made this event possible. I guess you could even say it is perhaps the biggest event in my career as a baby nurse. I could not have done it without all of you, and I am truly grateful. 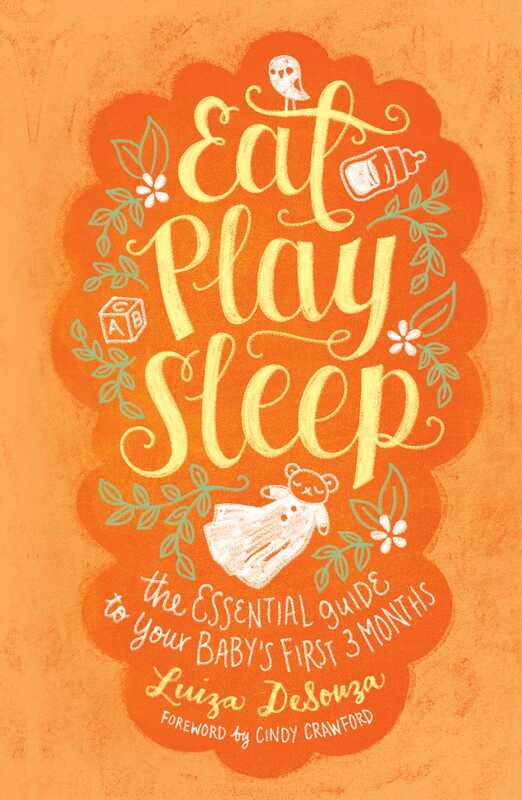 My new book, “Eat, Play, Sleep – The Essential Guide to Your Baby’s First 3 Months” is coming out through Atria Books, A Division of Simon and Schuster, Inc. and will be available wherever books are sold. I am so thrilled because it gives me the opportunity to share my experience as a baby nurse since I started my career in 1965 in my home country of Brazil. The great love that I have for newborn babies and the extraordinary things that I have learned can now be shared with new mothers and fathers and help them with their infant care. I hope that it helps many new parents around the world. We have so much great news about the release of this book, and we have gotten some incredible press already! I would especially like to thank Cindy Crawford for writing the forward to my book, Julie Chen for presenting the book on her CBS Show, “The Talk”, Leslie Moonves, Chairman of CBS, for helping to get the book published, Ryan Murphy, Executive Producer of “Glee”, Dana Walden, Chairman of 20th Century Fox TV, Laura & Casey Wasserman, Marco Pennette and Steve Rabiner, Liana Gottlieb, Christa Miller & Bill Lawrence, Liane & Richard Weintraub, and all of my beloved clients over the years. Without your support, this book would not have been possible. I have dedicated my book to Dani Michelle Jaffe, one of my precious children. This newsletter is the first of many that I will be sending out. Future newsletters will keep you up-to-date on what’s happening in every aspect of infant care, and will even include some great baby tips and recommended products for the care of your newborn. https://www.facebook.com/babynurseluizadesouza. Feel free to use #eatplaysleep in your posts. Thank you SO much! This entry was posted in "Eat, Play, Sleep" by Luiza DeSouza, Press Coverage.